Around this time of year I find that our energy bills start to creep up due to the colder weather. 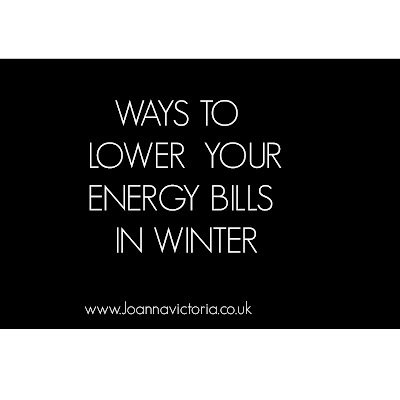 It is important this time of year to try and cut down on energy costs as it can be so expensive. 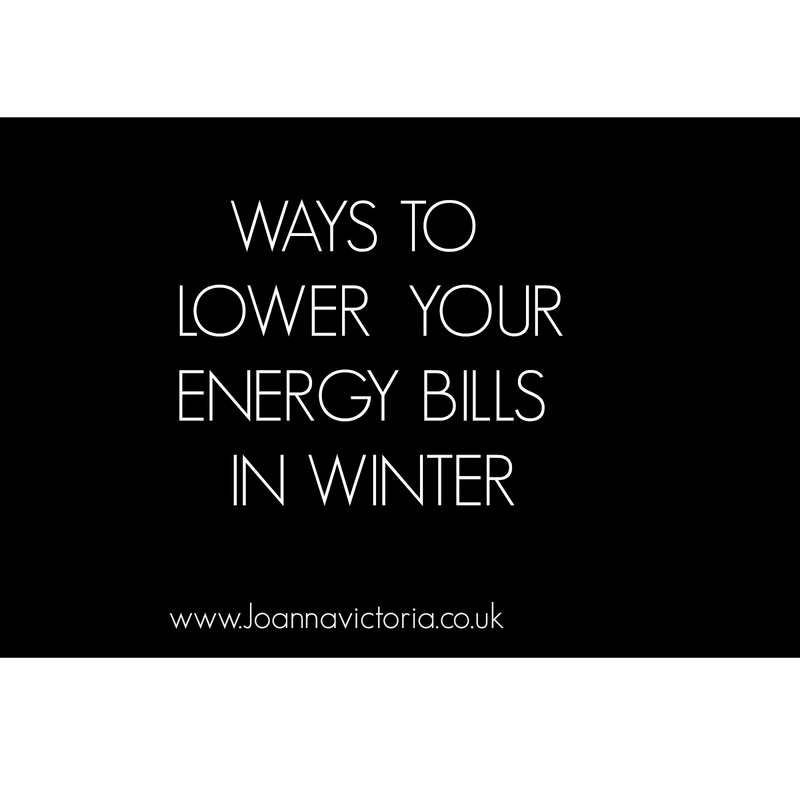 So I have compiled a list of ways to help cut down your bills now that autumn/winter is here. By changing energy suppliers you can save. It's worth using comparison sites and doing a bit of research to find the best deal. Energy companies tend to offer discounts if you pay by Direct Debit. Try lowering your thermostat by a couple of degrees and see how you go. If you feel cold just bump it up. Do you leave unnecessary items on standby? TV on when no one is watching it? If your cold put on an extra jumper, wear slippers. Overall make sure you are dressed sensibly for the time of year. We mainly wash at 30 degrees and is just as efficient as a 40 degree wash but uses approx 40% less energy. Some companies sell energy for lower rates at off peak hours so its worthwhile taking advantage and doing your laundry at night. If you don't already start using them! This will not only help save money on heating water but also save you money on your water bill. We have a thermal one we like to use. I tend to feel the cold a lot more than Stuart does so I'm glad that I have one of these. Great tips there. I can't believe people are putting their heating on already though - I am still trying to stop the kids using their fans! Fantastic post this! We resist putting the heating on for as long as possible and if that means wearing an extra jumper or two them so be it!! I loves the electric blanket and I have no shame in saying it. It is heaven itself. Ooh this is a fab post! Everyone always slags me off for using my electric blanket but it is honestly a godsend in the winter! This is a great guide. It would be nice to be able to cut costs this year! Fab energy saving tips here. I just switched! Great post just before winter! It certainly was more chilly here this morning! I live in a new built with super insulated wall where in winter we never need to put the heating on. We also live on the top floor of a block of flat and of course heat rise so we kind of lucky with our heating bills. I definitely want to get an electric blanket this year! Great tips - my husband always turns the heating right up but wears t shirts and bare feet! Drives me mad! We recently switched energy supplies and we saved ourselves so much money. These are great tips! It is definetly getting colder around here! I have been thinking about changer energy suppliers recently actually, I think now may be the time! I already fail on a couple of these. We have the hall way light on every night just so I can see when I have to get up at night with one of the kids. Also the outside light is on too. Thankfully our house is well insulated so I didn't have to use the heating much yet. Great post - our gas and electric bills are crazy high, we really need to work on lowering them! Great post and tips! THe bills get so high at this time of year. Brilliant ideas, let's face it, this is when we really get screwed with the massive bills. Really great tips, I will definitely be bookmarking this. We got a rather large bill earlier this year. Great tips! I always snuggle up under a blanket downstairs in the evening, instead of putting the heating on and heating up the whole house. Great post, lots of useful ideas,p. I love getting out all the blankets and throws for winter! Last year we had no heating all winter and we definitely needed them. This is a really useful post ,its surprising how much saving you can make by just being a little more careful. This is really useful! We have a log burner in the living room which means we can get one room nice and cozy withour putting the heating on for the whole house. When i was a student I used to wear a bobble hat to bed in the winter!